Blankets, bibs, backpacks and more can all be found in our delightful selection of baby accessories. Whether you’re looking for baby boy or baby girl accessories that can be used every day, or as a memento for a special occasion,you’re sure to find it here. 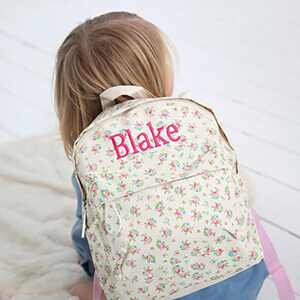 Each product has been lovingly designed to make the perfect gift for a tiny tot, and with personalisation available on nearly everything, you're sure to give something that will be truly treasured. Our baby girl and baby boy accessories all come in a luxury gift box for that special finish, reflecting the premium quality of the My 1st Years item inside. Browse our range today, and discover everything from super cuddly hooded towels, to super cute miniature luggage.